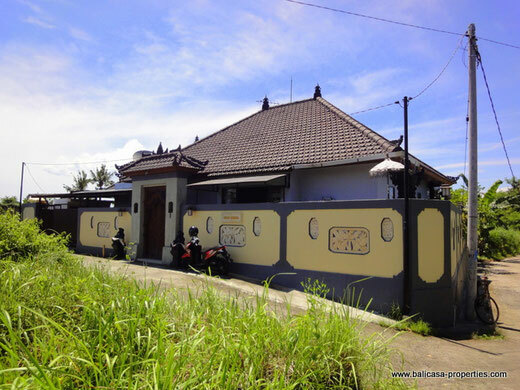 The law and regulations concerning owning property in Bali/Indonesia. Anyone who has been to Bali knows that it takes a moment to fall in love with this island. The climate, culture, nature, hospitality and tolerance Bali of the people living on this tropical island in paradise are all very appealing. 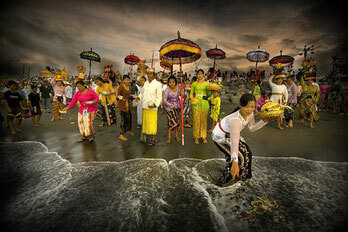 As soon the journey home begins, many people already start planning for next trip to Bali. Many times these so called “returners” are interested to buy property. For residential purposes like retirement or as an investment on the rental market to obtain a return, and for some, a permanent base in Bali. These dreams may quickly become plans and reality. But to realize these plans successfully you need to ask yourself if you have enough knowledge about the Indonesian property law and rules. How about the tax rules, visa rules, property laws concerning owning a property? There are many questions and finding the right answers is important to avoid that your tropical dream does not become your tropical nightmare. 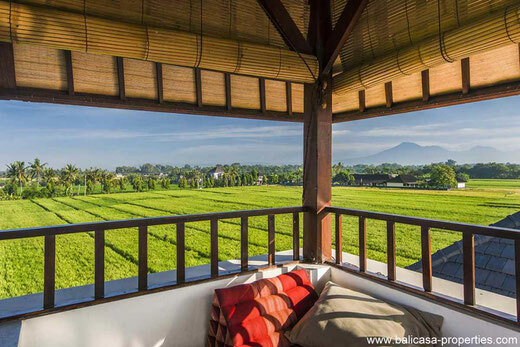 On this page of our website we would like to introduce to you some of the laws that apply to foreigners who buy or rent property in Bali, Indonesia. Foreigners are not allowed to own property in Indonesia. You can discuss forever but the fact is, that it is not allowed by law and there is you can change about that fact. However since 1996 it is allowed for foreigners to lease properties for periods of 25 or 30 years with extensions for another 25 or 30 years, (depending on the conditions are in the lease contract). And there are other legal ways to obtain property. You can use constructions in which a nominee is involved, this nominee has to be an Indonesian citizen. So first you may have to choose in what way you want to purchase a property, lease or freehold. Many times however, this choice is already made for you by the way the seller is offering his property on the market. Sellers can offer their properties with a freehold title or with a lease contract. We shall give an explanation about these two options. Until now it is prohibited for foreigners to own property in Indonesia, as all property, land or buildings, are to be registered in the name of an Indonesian citizen. This means that if you want to purchase a property with a freehold title that you will need an Indonesian citizen as a so called “nominee”. In the land certificate, this Indonesian citizen will be mentioned as the legal owner. To protect your interests as a buyer you will have to make an agreement with this nominee at a notary’s office. If you are interested to buy a property with a freehold title it is recommended that you already have a relationship with your Indonesian nominee, although in many cases the nominee of the seller can also be your nominee of this person agrees to act as your nominee. But again in all cases the agreement should to be settled with the notary to make it a binding official agreement. The notary can be chosen by the buyer and the notary fee may vary from 1% up to 2% of the sales price, and is negotiable in some cases. The sales and purchase agreement is to be drawn up by the notary in Indonesian language, else it is not binding. 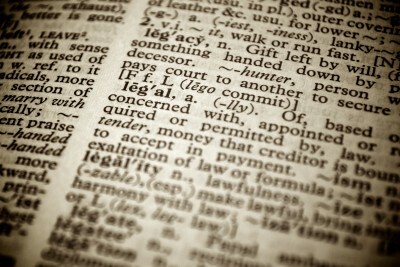 One of the duties of the notary is to conduct a “due diligence”. The notary makes sure that the property is accessible, free of mortgage and most important the property is provided with a land certificate, building license and proof of payments of several taxes. 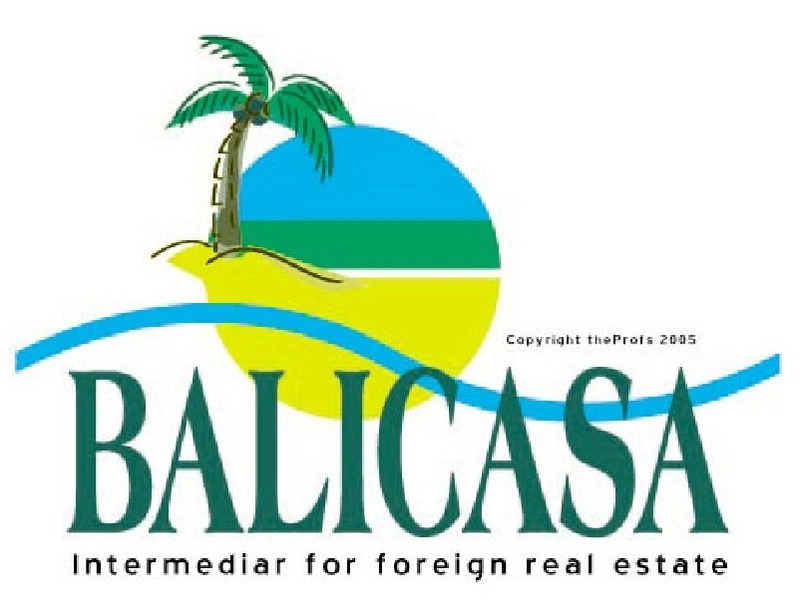 The buyer (foreigner) declares that he/she gives the nominee a loan (mortgage) with the objective to buy the mentioned property; this loan is exclusively made to buy this particular property. The nominee declares that he receives this amount of money to buy this particular property. The foreign buyer will be mentioned as the mortgage giver and the Indonesian nominee as the mortgage taker. A mortgage document will be drawn up by the notary. In these same security documents is a lease agreement between the buyer and nominee for example 25 years and an extension for another 25 years and if you want again for another 25 years. For this period of 25 years the nominee receives a certain amount of money each year, so this lease period is been paid for. Also a power of attorney (surat kuasa) is drawn up , so you as a buyer, have the full right to do with the property what you like; for example selling or renting it out. Also there will be conditions that you are free to renovate/improve the house without needing to ask permission to the nominee. In the case that you buy land only, the nominee will give you permission in this power of attorney ( surat kuasa) that you can build a villa if you desire to do so. And of course the power of attorney to sell. Also a statement of the nominee is included that he is obligated to cooperate with you to protect your interests. And as soon the Indonesian law changes which makes it possible to legally own land in Indonesia that he is willing to change the freehold title (hak milik) into your name. The documents will only be legally binding if in Indonesian. If the purchase is only land and the objective is eventually to build a villa on this plot of land the notary has to check at the land office (kantor pertanahan) if the land is allowed to build on, in other words if the land is applying correctly to the zoning law. The land has to have the aspect of “residential” so an application for a building permit is possible. Between rental and lease there is a significant difference, this difference is the period in which the property will be occupied by the tenant or lessee. 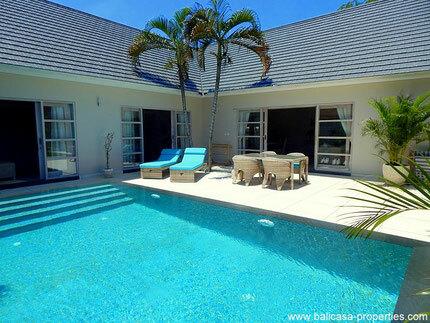 To put it more simply ….you “rent” a property for holiday or a longer period of up to a year. When you lease a property you will lease it for the period in the lease contract, commonly 25 years, but can be anything anything between a couple of years to more than 50 years, depending on the offered lease agreement. In both cases and in 99% of all rental and lease agreements the total sum of money has to be paid up front, before the rental/lease periods starts. Basically when obtaining a lease (contract), you become the effective owner of that property for the period of the lease period with all obligations and privileges that come with the property. You have the right to sell and in case you pass away, it can go to your heirs. If the lease contract does not have an agreed extension condition, the property will be returned to the landlord after the agreed period and he/she can put it on the market again or whatever he/she wants to do with it. In most cases the purchasing price will be less than a property with a freehold title. To rent a property for a shorter period of time gives you flexibility allowing you to move quickly if you don’t like the property and/or want to move to another location. However, renting a property is significantly more expensive in comparison with leasing a property. In Indonesia there are no laws like in Western countries to protect the tenant. The landlord can do whatever he/she wants when you want to extend the rental period for like another year. It’s likely that the rental price will go up and you have to negotiate again about the rental price. Don’t forget that Indonesian owners won’t maintain the house while you are living in it and he/she will expect that the tenant will do this. You are advised to use rental contracts with conditions in it for both parties, normally a receipt of payment will do for Indonesian landlord and on the receipt is written the period of rent. We strongly advise to you to draw up a rental contract and to make it stronger. You can do this at a notary. We recommend you make sure that the person who is offering you the property for rent is the legal owner or is legally entitled to offer this property on the rental market. It is always recommended to work with a trustworthy and thorough notary if you want to set up a rental contract if there is not a contract offered by the landlord. To lease a property gives you the full legal protection during the period of the lease contract. 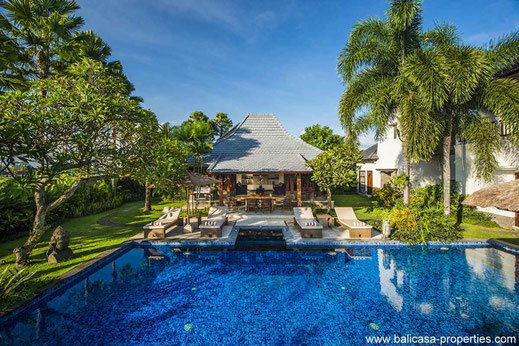 In popular areas like Seminyak and Sanur, properties with a freehold title are rare to find these days and the majority of properties on offer for sale are leasehold. The lease contract has to be drawn up officially by a notary to protect the interests of the lessee (you) and the lessor (landlord). In this lease contract the period has to be defined and the sum of money to be paid by the lessee to the lessor for this period. As soon as the period has expired the property falls back in the hands of the landlord/owner of the property. Unless one of the conditions is about the extension of this lease period. It is recommended that one of the conditions in the lease contract is about the extension possibilities, and the price of the extension. If the lease contract has been drawn up by a notary, this agreement is legal . If buying an existing lease contract for, let us say 16 years, this agreement still has to be conducted by a notary. To obtain full legal protection it is recommended that the lease contract is drawn up in the official Indonesian language (to be legally binding) and another one in English to help prevent misunderstandings between parties. Besides the possibilities mentioned above there is still another option for effective ownership. This way to legalize ownership for foreigners is in many ways similar as in a lease hold, the only difference is that there is no landlord/landowner anymore because the title of ownership is set on the government and the buyer makes an agreement with the government. It may sound a bit spooky but this is all arranged by the notary and many foreigners see this as the only legal and safe way to protect their ownership and interests. This “Hak Pakai” will be noted in the land certificate and the period of Hak Pakai will be 25 years with guaranteed extensions up to a maximum of 90 years. The notary will make additional costs for this to arrange this and this will be charged on top of the notary fee. If you buy land to build your own villa, again some matters have to be taken care of, in which you need the legal help of a notary. If the objective is to build a villa on this plot of land the notary has to check at the land office (Kantor Pertanahan) if this is permissible. In other words if the land applies correctly to the zoning law. The land has to have the aspect of “residential” so an application for a building permit is possible. This is part of the Due Diligence is critical and you may need to make this clear to the notary. You are of course free to use the land as agriculture land in that case the land can stay with the zoning title “pertanian”. If the land is zoned “greenbelt” ( jalur hijau) then you are not allowed to build on that land anyway. We do not recommend bribing officials to get a building permit, although it has been done many times. If the land meets up to all the legal conditions for building, you can apply for a building permit, called an “IMB”. Do not be mistaken and think this can be done quickly. This is better to be done by a person/specialist who has done this many times before so it can go smoothly. 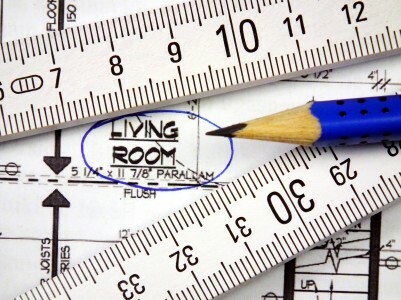 Your building permit application goes with architectural building drawings and estimation of building costs to calculate the construction taxes. We advise you to consult with acknowledged and legitimate building/construction companies who can assist you through the whole process of applying for a building permit and constructing your dream villa. If you have more questions, please feel free to send us an email.